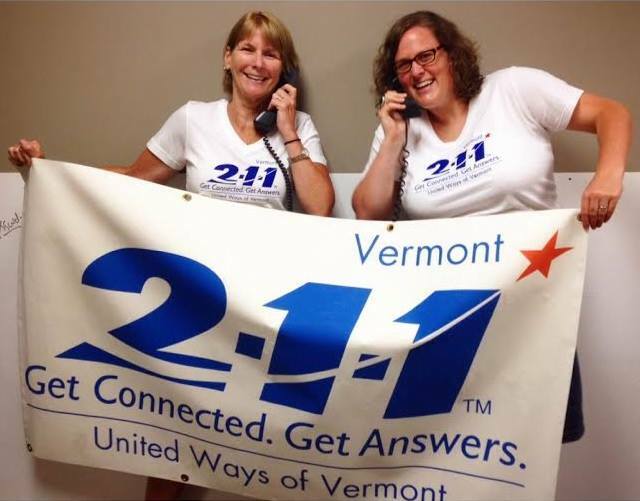 A program of United Ways of Vermont, Vermont 2-1-1 is a statewide, confidential information and referral helpline that connects callers to available human services including food, shelter and healthcare. Callers speak with a real person every time who can help problem-solve and/or refer callers to government programs, community-based organizations, support groups and many other local resources. It’s real people helping real people – anytime of day or night. Just dial 2-1-1. Find resources on the go with the Vermont 2-1-1 mobile app (available in the App Store).